Over-sized TekMats with twice the thickness of other cleaning mats. 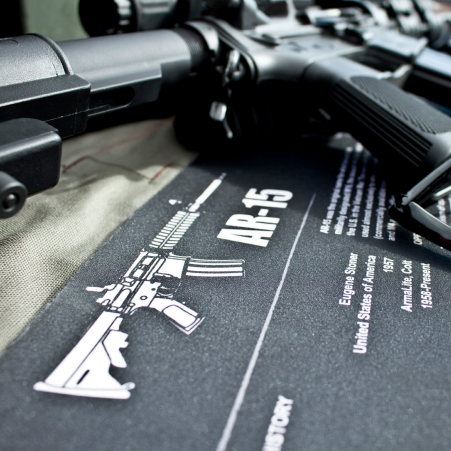 These premium TekMats are waterproof, oil resistant, and will protect your firearm and cleaning surface. The gun cleaning mat that started it all. Designed to protect your firearm and the cleaning surface. With over 70 different designs, this TekMat is both insightful and useful when cleaning your gun. 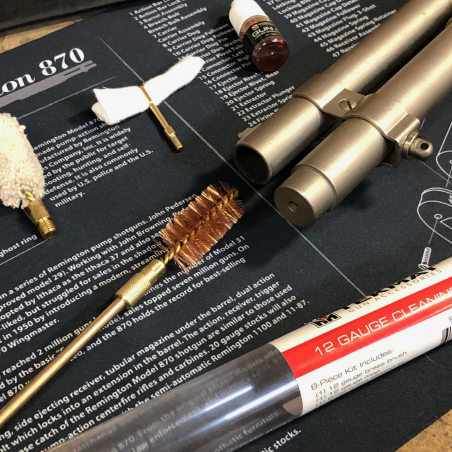 Get the cleaning accessories you need to maintain your firearms. 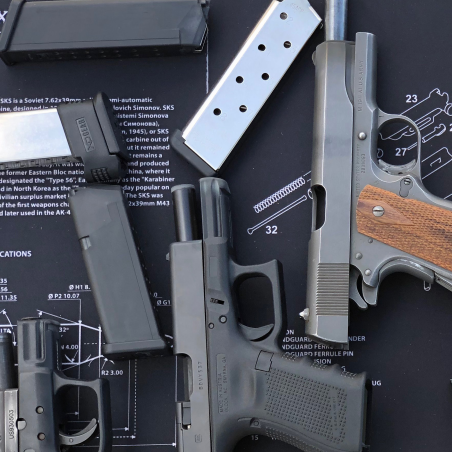 Everything from gun cleaning kits to oil and solvent. All designed to help you enjoy your firearms for years. Dynamis Alliance - "Crush Everything"